More about iittala Toikka Pearl Designed by Oiva Toikka especially for the 2015 holiday season, Pearl makes a lovely gift or commorative addition to your own collection. The bird is simple in shape and color but detailed in skilled craftsmanship. A transparent pale grey body is beautified by bead-like decoration, which is achieved by the iittala master glass blowers through controlled air bubbles. 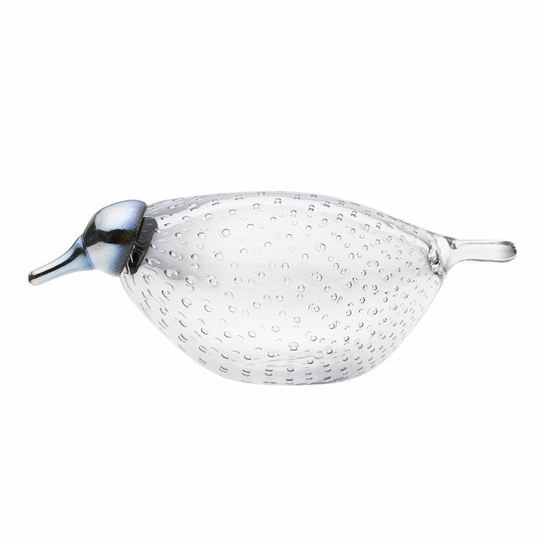 Pearl's low posture and long profile is balanced by a wide rounded tail and downward pointing beak, handcrafted from opalescent glass.